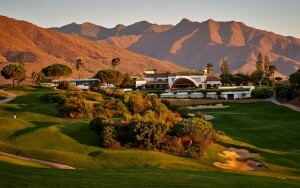 We have put together some of the best value golf holidays packages on the market below. Call us today on 01 – 697 5734 or send us an enquiry and we will get back to you with some amazing golf holiday packages. 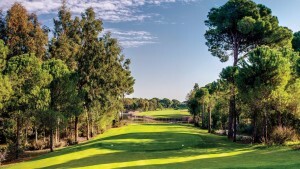 We have now secured our rates for the Vilamoura Courses on the Algarve for 2019, book your golf break now to achieve the best available tee times for your holiday to the Algarve. 3 Nights + Unlimited rounds from only €149 PP. 3 Nights, 2 Rounds from only €219 PP. 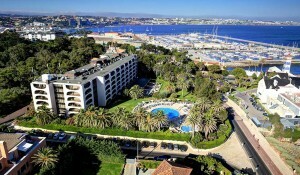 These golf holidays offer exceptional value at The Tivoli Marina Portimão Hotel in the Algarve, Portugal. A real favorite for golfers. 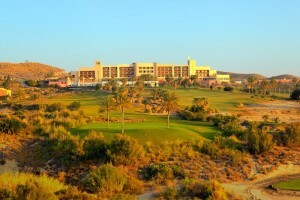 All packages include B&B and a choice of golf on 3 golf courses during your stay, Morgado, Alamos & Salgados. 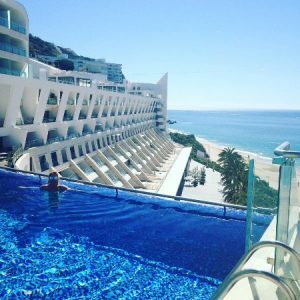 Albufeira is renowned for its beaches, it is a place where people come to relax, sunbathing by day or enjoying a game of golf, then by evening flocking to enjoy the many bars and restaurants for the night. 7 Nights & 5 Days Unlimited Golf from €489 PP. Golfbreaks.ie are pleased to offer this exceptional package to the NAU Salgados Dunes Suites, including unlimited golf on 3 different golf courses during your stay! Contact us today for more information on this great offer! Voted Portugal’s Leading Golf Resort by the World Travel Awards, Penina Hotel & Golf Resort is the glittering jewel in the Algarve’s crown. 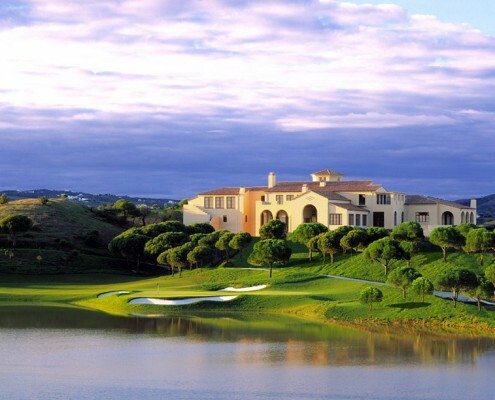 The resort, located in 360 stunning acres of perfect grounds, offers guests the choice of three on-site golf courses… and is regarded by many as the spiritual home of golf in the Algarve. Magnificently located overlooking the Atlantic Ocean, Dona Filipa Hotel welcomes guests of all ages with a touch of glamour combined with an essence of true quality. 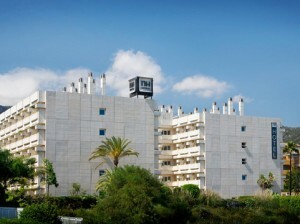 The Hotel offers 154 rooms and suites uniquely complimented by professional staff that value the the true notion of personalised service. 3 Nights, 2 Rounds from only €289 PP. 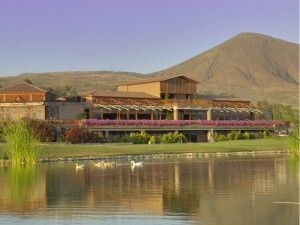 Stay at the beautiful Marina Club Resort & play the multi-award winning 27 hole Palmares golf club. The hotel & golf course have combined to put some great package deals together. 3 Nights, 2 Rounds from only €309 PP. Stay in the centre of the beautiful town of Carvoeiro at the Tivoli Carvoeiro Hotel and play Morgado, Alamos & Salgados golf courses during your stay. 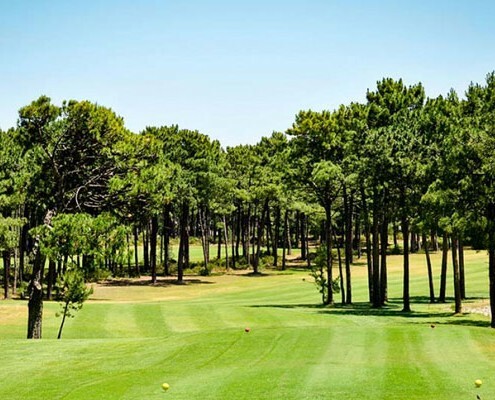 Warm up this winter and stay at the stylish Formosa Park Apartment Hotel in the Algarve and play San Lorenzo Golf Course. Want to play a lot of golf on your holiday? Then these are the packages for you… We are pleased to offer some fantastic packages at the Amendoeira Golf Resort with unlimited daily golf during your stay on some of the Algarves best courses, including the Faldo & O’Connor Golf Courses. Pestana Carvoeiro Golf Resort is ideal for all-year round outdoor sports. These well-appointed and stylish homes are fitted to the highest standards to meet those seeking a peaceful and relaxing holiday in a pleasant atmosphere. 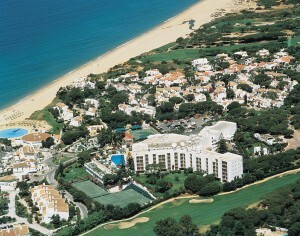 The Resort also offers unlimited golf on the 5 Pestana courses Pinta, Silves, Gramacho, Also and Vila Sol. 3 Nights B&B & 2 Rounds from €179 PP. 4 Nights & 3 Rounds from €289 PP. Make it a golf holiday to remember with our Stay & Play Special in Sesimbra, enjoy picturesque beach views from the Sesimbra Hotel & Spa and play some great local courses. 3 Nights & 2 Rounds from €339 PP. 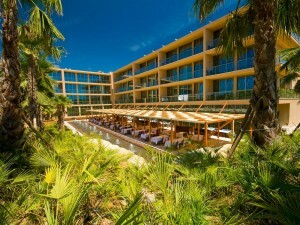 These packages offer exceptional quality and value at the wonderful 5 star Oitavos Dunes Golf Resort in Cascais, Lisbon. 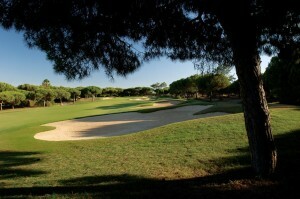 The onsite award winning golf course is one of the top 100 in Europe. 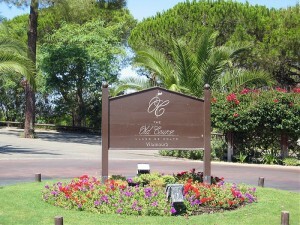 Visit this golf resort, you will not be disappointed…..
3 Nights & 2 Days Golf from €179 PP. 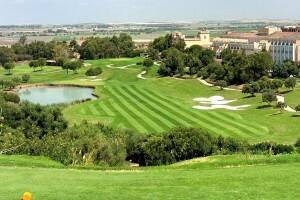 Dolce Campo Real & Montado Golf Resort come highly recommended from us here at Golfbreaks.ie. 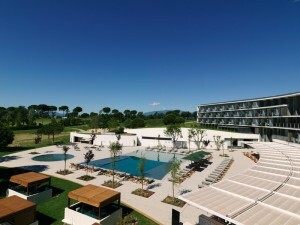 These two golf resorts in Lisbon offer exceptional value for money, top class accommodation and unlimited golf during your stay. 7 Nights & 5 Rounds of Golf from €589 PP. 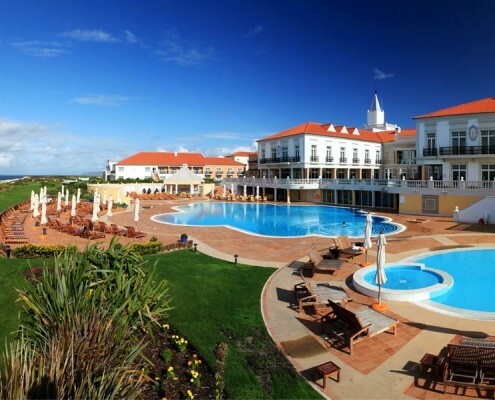 The Palácio Estoril Hotel, Golf & SPA, located in the centre of Estoril, one of the finest Golf Destinations in Europe, across the street from the beach and the famous Casino and only 30 minutes away from Lisbon International Airport…. 3 Nights + Unlimited Golf – Prices from €169 PP. We can custom build golf packages for the Aroeira golf resort including unlimited golf on the Orizonte golf courses. Stay at this beautiful resort and play unlimited golf at the two Aroeira golf courses, Ribagolfe & Quinta do Peru as part of your golf break. 4 Nights, 3 Rounds from only €269 PP. 5 Nights Half Board & 3 Rounds from €389 PP. This beautiful coastline just south of Barcelona offers 7 golf courses, a wide range of quality accommodation, great weather and complete holiday packages at very competitive rates!. 4 Nights, 3 Rounds including buggies from €339 PP. We have some great value for 2018 golf breaks to the Costa Del Sol and the ever popular resorts of Fuengirola, Torremolinos, Benalmadena & Marbella, contact us today for a quotation on your next golf break. 4 Nights B&B & 3 Rounds from €359 PP. 7 Nights & Daily Rounds of Golf from €399 PP. 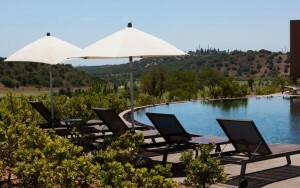 Fantastic value offer for the magnificent 5* Montecastillo Golf Resort. Unbelievable value not just for a 5* hotel but also for this highly sought after championship golf course. 5 Nights B&B & 3 Rounds from €349 PP. 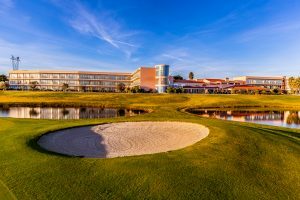 Isla Canela Golf Resort in Huelva, Spain is quality golf break destination which impressed immensely on a recent visit, this resort offers amazing value on stay and play packages. 4 Nights & 3 Rounds with buggies from €319 PP. 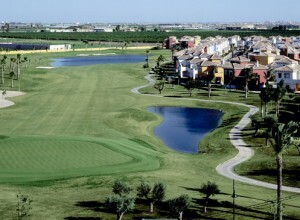 Murcia City is a wonderful place to visit for your next golf break. Explore this beautiful city and sample some of the top quality local courses with these great value golf break packages. 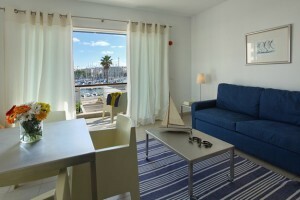 3 Nights HB & 2 Rounds from €219 PP. 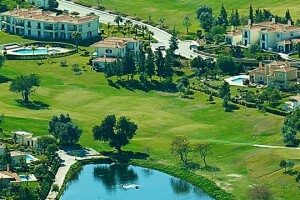 We have some fantastic offers for two wonderful golf resorts in the Costa de la Luz, Huelva. 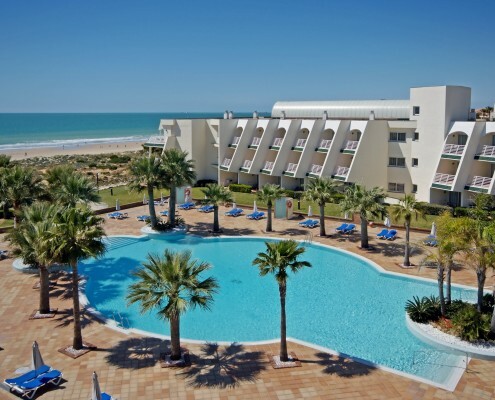 Enjoy a stay at the 4* Islantilla Golf Resort or the 5* El Rompido Golf Resort, both of which offer a beautiful Half Board offering that will not disappoint! 7 Nights & 5 Rounds from €349 PP. 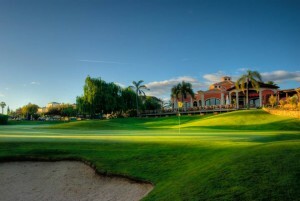 Golf holidays in Murcia will leave you spoiled for choice with fantastic golf resorts and courses! 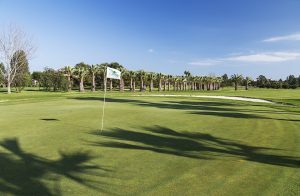 The following offers are exceptional value for one of the best in the region, the Mar Menor Golf Resort offers a range of 4* and 5* accommodation and also boasts 6 great golf courses. This resort is is a golfers paradise! 3 Nights 3 Rounds of Golf from €209 PP. 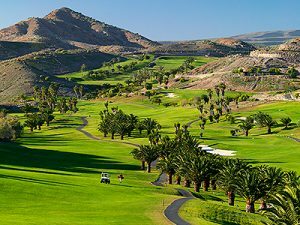 Almeria is a relatively unknown destination for golfers looking for a golf holiday in Spain, however it has some great golf courses and is very reasonably priced also. 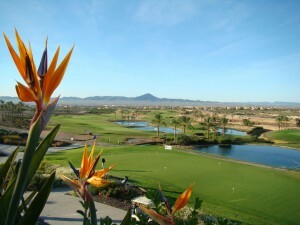 It is one of the sunniest and driest regions of mainland Spain, making it perfect for Almeria golf holidays. 3 Nights 2 Rounds of Golf from €279 PP. 3 Nights & 2 Rounds from €279 PP. 7 Nights Half Board + 5 Rounds from €619 PP. 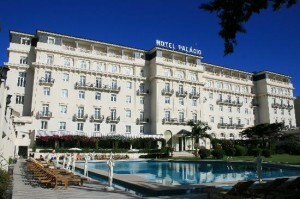 7 Nights and 4 Rounds from €679 PP. 7 Nights and 4 Rounds from €719 PP. 4 Nights and 3 Rounds including transfers from €519 PP. Majorca golf holidays have become hugely popular due to its all round offering of golf, nightlife and great beaches along with is fabulous climate. 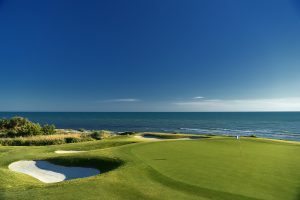 Spoil yourself at the 5* Verdura Resort in Sicily with these sublime golf packages, home of the European Tour’s Rocco Forte Sicilian Open, the 18 hole championship links course offers stunning Mediterranean views and world-class greens.